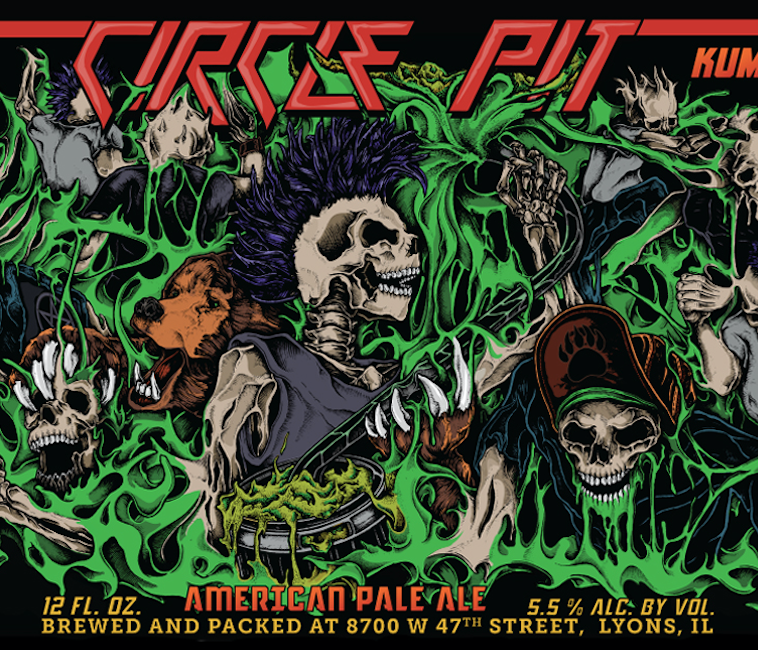 BuckleDown Brewing and Kuma’s Corner unite to deliver “Circle Pit”, an American Pale Ale! collaboration with Kuma’s Corner. English Maris Otter base malt provides a substantial malt backbone driven by notes of toast and biscuit, enabling the dank tropical and citrus aromas of Simcoe and Eukanot hops to shine. Crisp, refreshing and crushable this beer is ideal Circle Pit fuel. > 4/23 (Belmont) at 6pm. > 4/25 (Schaumburg) at 6pm. > 4/26 (West Loop) Happy Hour feature 4-6pm. > 4/30 (Vernon Hills) Happy Hour feature alongside Industry Night from 5pm. Art by the talented Adam Schadenfroh.